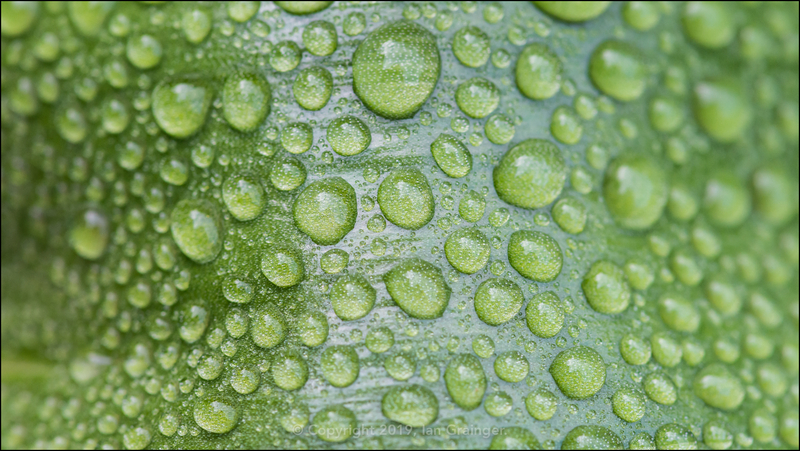 The images this week come from a combination of my own garden and dad's. 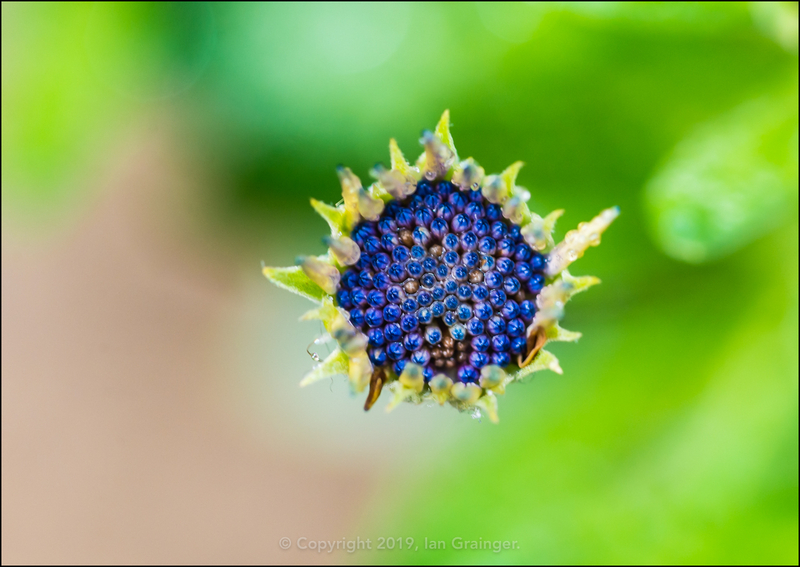 We're starting off with a few flowers from my garden though, which seems to be waking up a little too early for my liking. ...but 'Double Ellen White' also arrived, although was a little more shy! 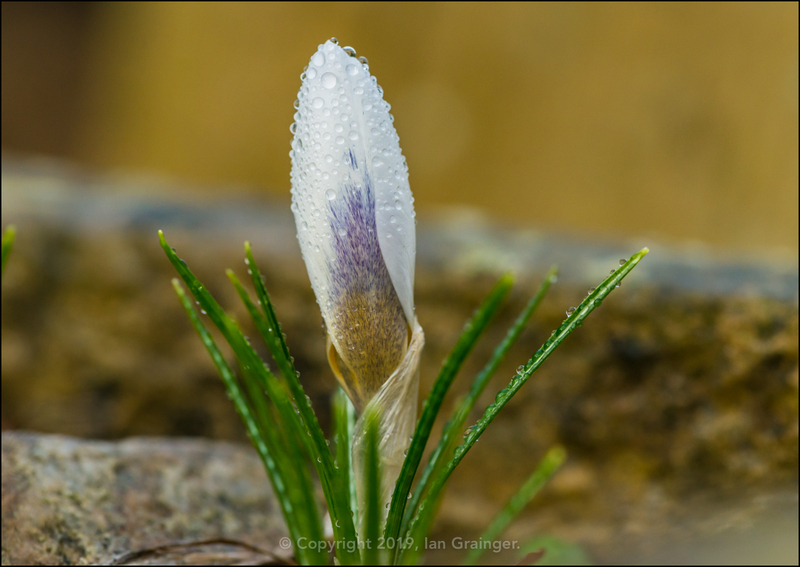 The first Crocus, 'Ard Schenk', also decided to poke its petals above ground, although, as of yet, has not opened up. 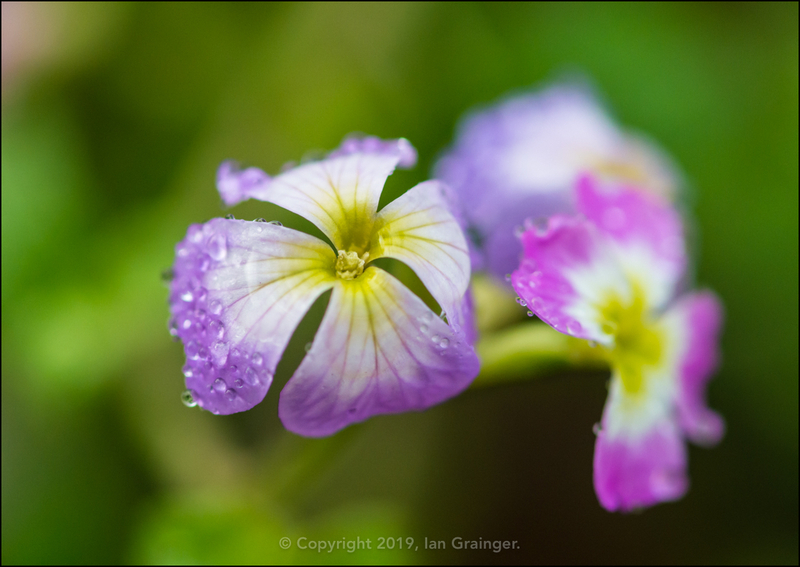 The Virginia Stock (Malcolmia maritima) has been flowering for months now, and has just kept going all the way through Summer, Autumn and is now well into Winter. The African Daisies (Osteospermum) have all ceased flowering, apart from this white one (with a blue centre) that refuses to take a rest! 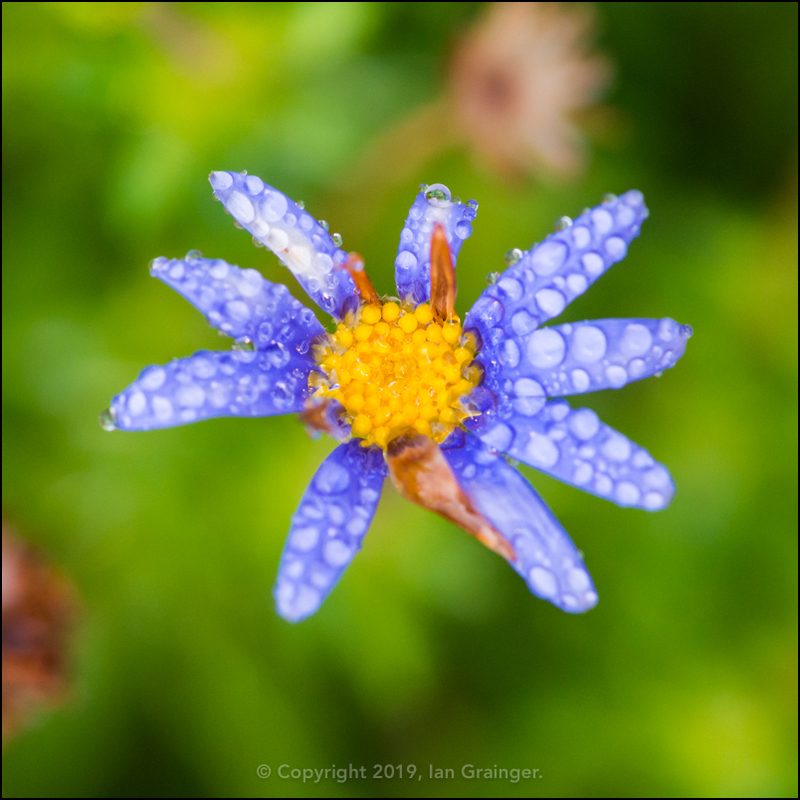 The Blue Marguerite (Felicia amelloides), at least, have had a rest through Autumn, but are now weirdly starting to bloom again just as we're being hit with sub-zero temperatures. As you can see from most of the proceeding images, while some of the UK has been hit by snow, down here on the South coast we've mostly had rain. 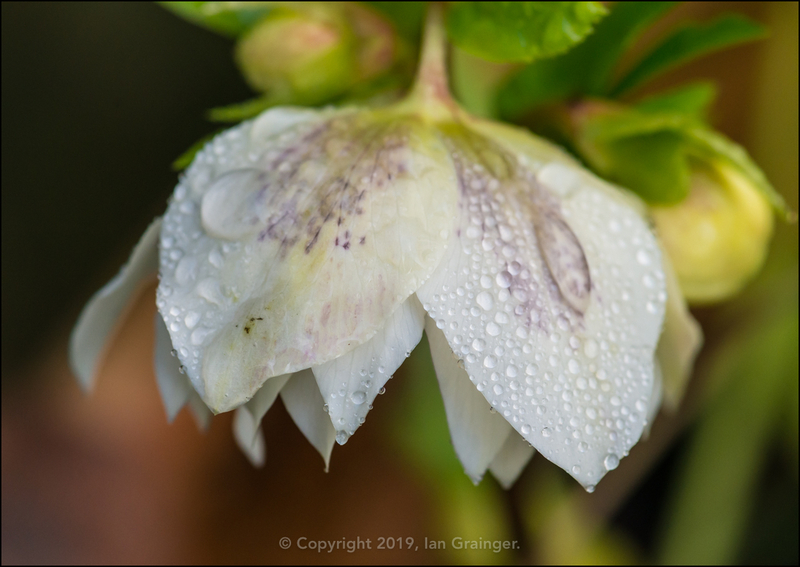 Over in dad's garden, the rain had temporarily disappeared, and there were beautiful blue skies for my Sunday morning photo shoot. 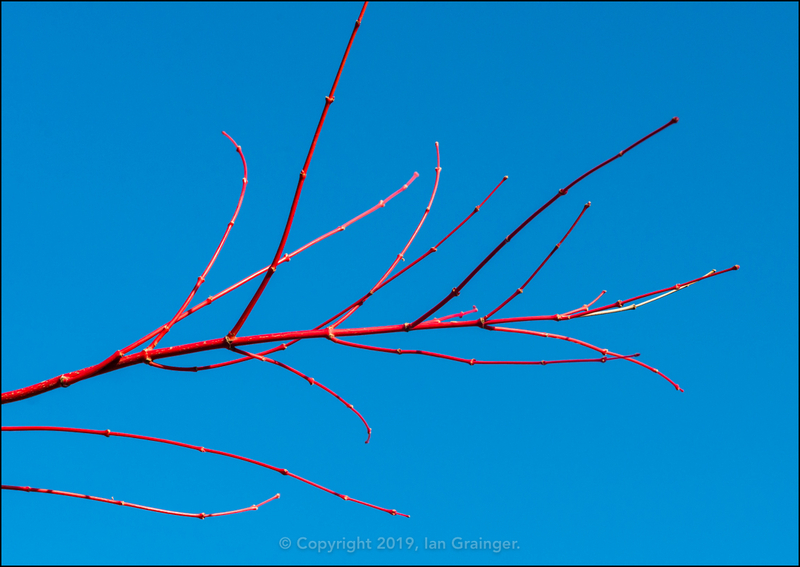 The red branches of the Acer (Acer palmatum) tree looked especially nice against the blue. 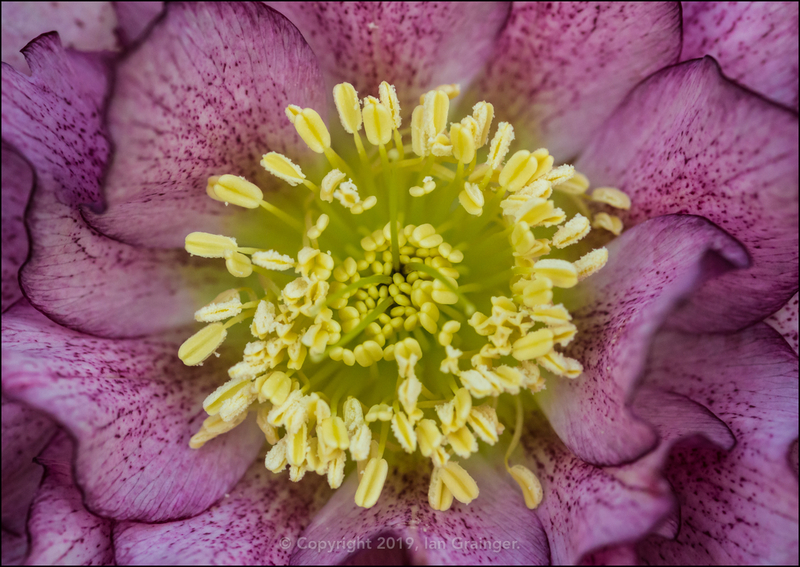 The bright sunshine wasn't ideal for photographing flowers, but it was better than the dark windy mornings of recent weeks. 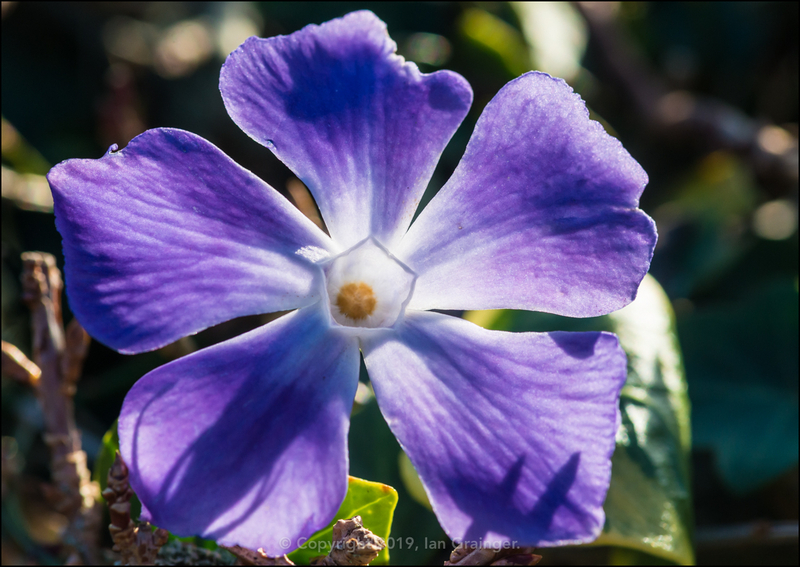 This Periwinkle (Vinca) bloom really stood out as the sun flashed off its petals. 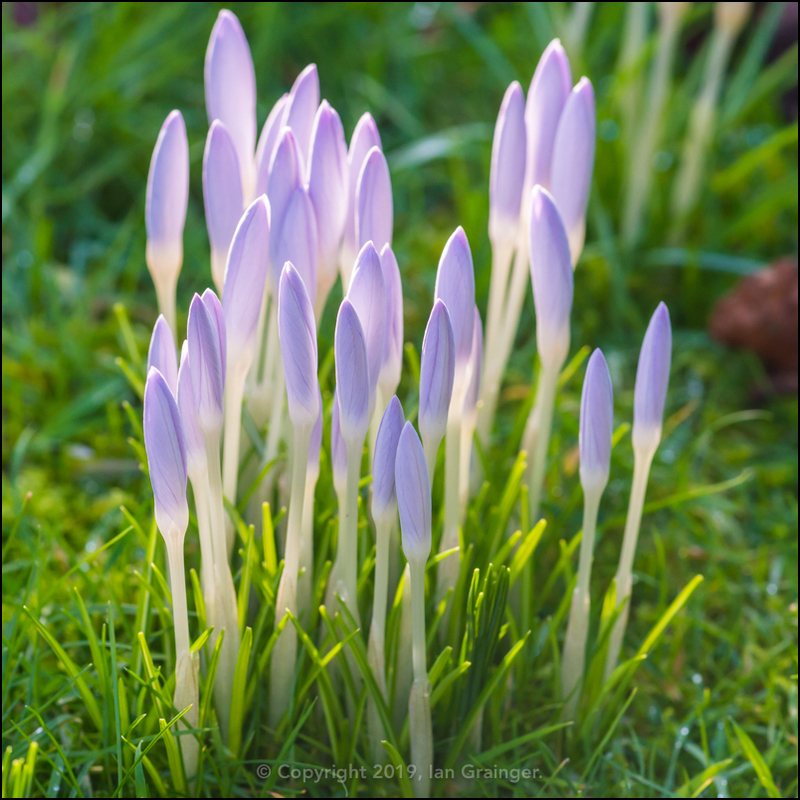 Despite the sunny conditions, the Crocus still remained firmly closed, refusing to open even after several hours of direct sunlight! 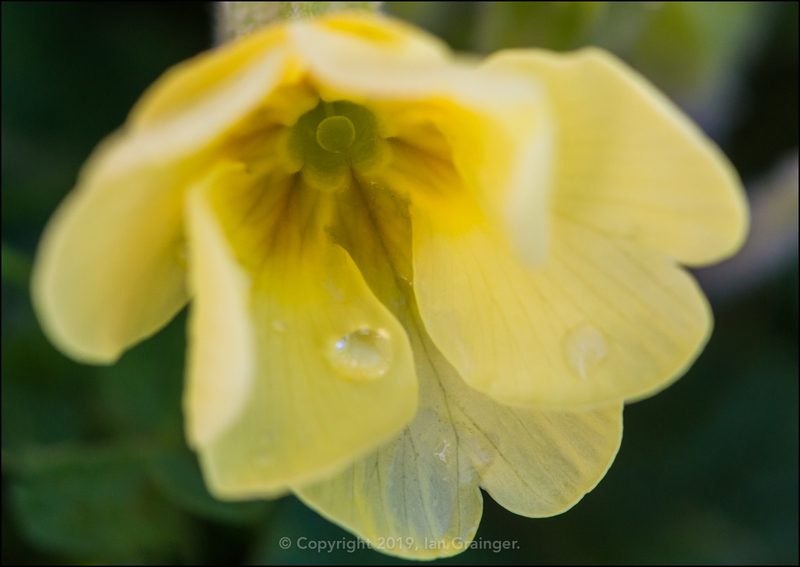 The Common Primroses (Primula vulgaris) were a little more eager to open up, but not fully. 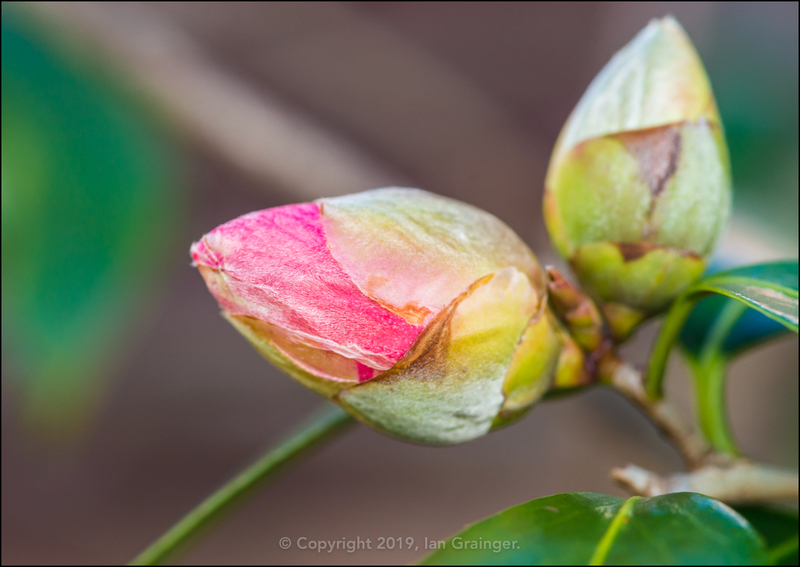 I was very pleased to see some colour in the buds of the Camellia bush. The bush was magnificent last year, but had to be cut back significantly after a neighbour complained it was fouling the guttering of his garage. It's now only about a quarter of the size it was in this picture taken last year. Hopefully it will regain some of its former glory.